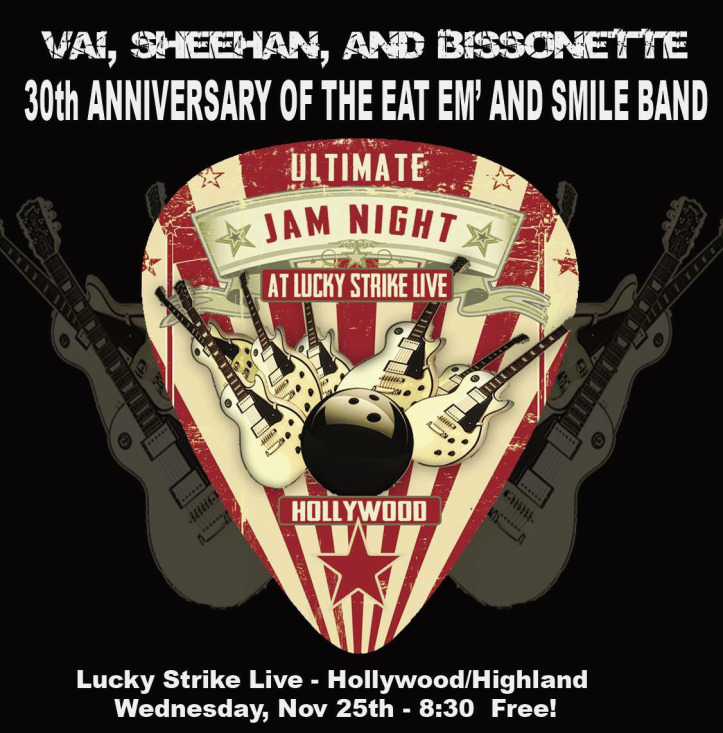 A Fire Marshall shut down a free 30th anniversary reunion show by the lineup featured on David Lee Roth’s 1986 solo debut, “Eat ‘Em And Smile”, at The Lucky Strike in Hollywood on Wednesday due to concerns over crowd size. 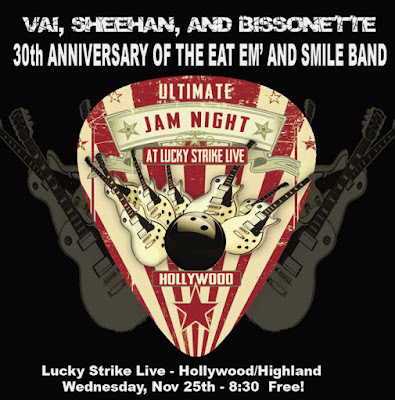 The event would have marked the first public performance in three decades by guitarist Steve Vai, bassist Billy Sheehan, drummer Gregg Bissonette and keyboardist Brett Tuggle, who were set to perform with guest vocalist Ralph Saenz (a.k.a. Michael Starr of Steel Panther) and Roth himself. Following an opening set by John 5 and The Creatures and a host of other players, according to California Rock News, the planned headline performance was cancelled by authorities. Sheehan updated fans on Twitter as events unfolded throughout the evening, part of the club’s free weekly "Ultimate Jam Night" series. “There's already a line to get into Lucky Strike tonight, so get there quickly if you want to get in!,” posted the bassist early on. “Utter chaos at Lucky Strike live!! The surprise was an unannounced appearance by Roth, who was to join his former bandmates for the show.